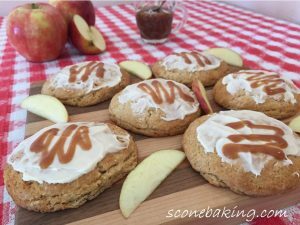 Who says you can’t have apple pie for breakfast. 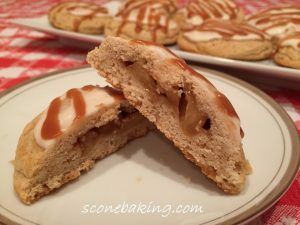 With these yummy Apple Pie Scones you can because they have a surprise apple pie filing in the center. And, because I love caramel apples, I’ve drizzled my Salted Caramel Sauce on top.